One of the problems with 3D printing is getting a hold of things to print. You can of course download pre-made objects from a variety of places like Thingiverse; but if you want something unique and made by you, that’s where things get a little difficult. Here are 9 quick and easy apps for making something a little more unique. This is a superb web app for creating complex 3D shapes by combining basic ones. It may not have all the bells and whistles of a full desktop modelling app, but it does allow even the most novice user to create incredible structures – and the walkthrough tutorial is very comprehensive. The app makes things simple by using a ‘work plane’, which can be repositioned to any face in the object. In short, if you want to add something onto the side of something you’ve already made, you would drag the work plane to that side first, then you could drag something from the library onto it to snap into place. The same principles for adding material work for subtracting – just turn the object into a ‘hole’ instead of a solid color. It really is incredibly simple to use, and I’d encourage you to go check it out now even if you don’t have a 3D printer. There is also the obligatory shared user creations directory, and you can export your objects to the Thingiverse or download as .STL file ready for printing. I did a full review of both Sculpt Make Your Own Monsters & Learn 3D Sculpting With 123D Sculpt [iPad] Make Your Own Monsters & Learn 3D Sculpting With 123D Sculpt [iPad] Sculpt is specifically made for the iPad - and is free for the time being. Sculpting is a natural fit for the iPad touch interface, and the app is an incredibly powerful way to realize... Read More and Catch Turn Photos Into 3D Models With Autodesk 123D Catch [Currently Only Windows] Turn Photos Into 3D Models With Autodesk 123D Catch [Currently Only Windows] With the 3D printing revolution officially under way, the problem remains of how to get actually get a digitized 3D representation of something. You could start from scratch, using something like Google Sketchup, but I'd... Read More last week, but a few updates make them worth mentioning again. Sculpt has now added a premium option, allowing you to export OBJ files so you can print your monstrous creations. Catch has also been released as an iPad app (2nd or 3rd generation, US app store only at the moment), making the process of capturing images and creating stunning 3D scenes from those images alone quite ridiculously easy. The whole suite of free Autodesk 123D apps also now has access to cloud storage for improved interoperability between different apps, as well as the ability to share and adapt other creations. If you’re in need of some random space ships for epic space battle type war games, ShapeWright has you covered. It’s a random ship generator, so it can either start from a name, or just use it’s own internal random number generator. The results are impressive, and very pretty much what I imagine space ships to look like. Here’s the Andromeda – you can build the exact same one by typing it into the site. Outputs can be either ordered online, or you can download a VRML file ready for 3D printing. Note, the download button is tiny and hidden in the bottom right – it uses Flash, so you’ll need to ensure you’ve got an exception set if you routinely block Flash (something you should definitely be doing, by the way). From the ShapeWright homepage, you can also find a basic ring making tool, which presumably you could then customize further with desktop 3D software. 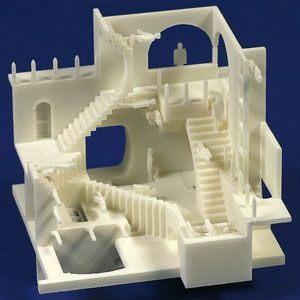 I talked about Cubify The 3D Printing Revolution Leaps Ever Closer to Consumer Level The 3D Printing Revolution Leaps Ever Closer to Consumer Level 3D printers have been a reality for some time now, but if we're honest the majority of them are - let's say - for hobbyists. Although it's very impressive and meta to say that one... Read More last week – the first truly consumer level 3D printer priced $1299 that works with custom filament cartridges. As part of their making it simple for consumers, they’ve got 5 simple 3D object making apps. Perhaps the most useful of them all, aspiring queens and little princesses will love making a little a custom crown and printing it in garish pink. Scale up for adult size! 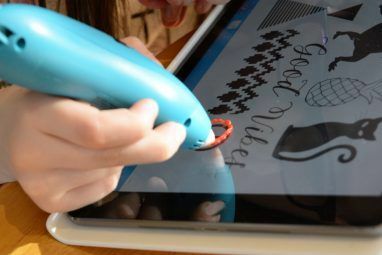 In contrast to many long-running toy businesses, Lego has really embraced the digital era with their digital creation tools Build Virtual Legos On Your PC with Lego Digital Designer Build Virtual Legos On Your PC with Lego Digital Designer Read More . Now you can begin to print your own equipment for your Lego guys with this unofficial sword maker. Options are limited to the blade and hilt, but by my calculations there are still 48 different sword designs you can make with this app, and that’s enough to make a veritable army of mismatched bandits. If you’ve ever wanted to decorate your living room with 3d printing space invaders, I think I’ve found the app for you! Make your own invaders, then battle them with the delightfully complex rocket maker. Battle sounds not included, pew pew! Aliens are simple, so they only get basic creation tools. The rocket is far more advanced. You’re going to need a license to drive all these spaceships you’re making, and for that you’ll need this 3D license creator. Choose your license type, enter your name, and away you go. Okay, not particular cool for grown-ups and unlikely to be an lawful excuse as to why you felt piloting that aeroplane was okay, but I’m sure the kids will love it (while you’re playing real life space invaders). 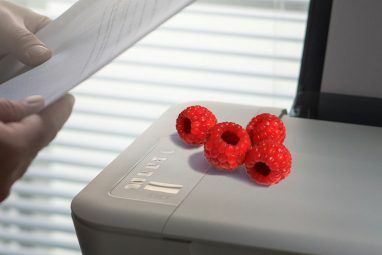 Do you know of any more quick and easy apps to make printable 3D objects? Let us know in the comments, for fame and glory and our eternal gratitude! Useful comments - I am thankful for the details . Does someone know if my company could possibly grab a fillable NC MVR-18A version to type on ? While most of these look interesting I'm afraid I wont be able to try any projects until I get a mighty big pay raise. Oh, and what is the quality of the items made? Like could you make a sturdy bowl, plate, or cup for your daughter's tea party? What about a toy gun so your son can go play cops and robbers? And how limited is this, like if I designed a robot would the model be just one rigid piece or could I move the arms and legs? On the more practical side, what about prosthetic limbs? or possibly training aids for the military (non-explosive). New car designs for better fuel efficiency? I'm still trying to get one for testing, so I can't honestly comment on the quality, but generally they are made with sturdy plastic - household items and toys woul be fine. Quality of print (the equivalents of dots per inch) varies greatly, but this particular consumer grade model is among the best. If you made a robot in different pieces, you could join them in such a way as to be moveable. If you prints one solid object, then no. As for prosthetic limbs, I believe they already use them for this, though not consumer level printers due to size involved. I think we're obviously still at a really limited stage with being able to print in plastic only, but think back to how primitive the first computers were! Check out Rhinoceros 3D or Rhino 5. Or you can just join a FIRST team and 3D print your robot! 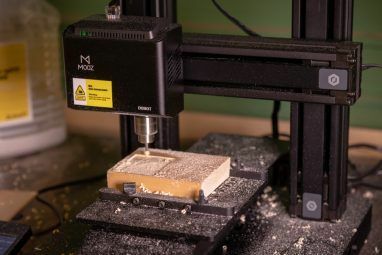 I thought I kept up pretty well with the 3D modelling scene, but I've never heard of these awesome tools (save for the Autodesk tools, thanks to a previous MakeUseOf article). I'm quite intrigued by TinkerCAD and SpaceshipCreator! Thanks for a superb article! Check out FreeCAD! You can download it from Sourceforge.net. It's a 3D parametric modeler that 100% open source and runs in Linux, Mac OSX & Windows.